How well do you know the original Disney movies? We’re talking about Lion King, Cinderella, Jungle Book, Alice & Wonderland, Peter Pan, Robin Hood, Tarzan, and more! The Plex Trivia team in conjunction with the St. Clair College Public Relations Club and The Foundry Pub are hosting a Disney themed trivia night fundraiser! 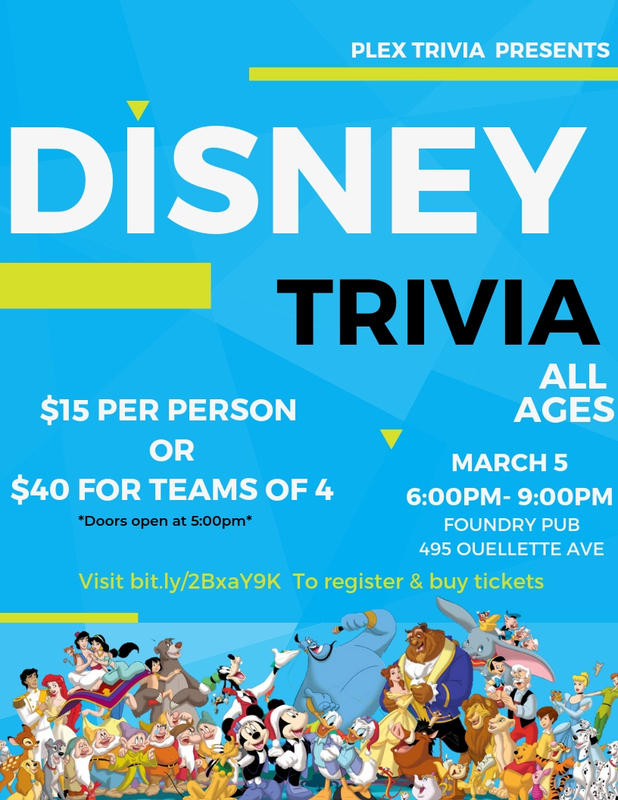 Come out to the Foundry Pub, March 5th and prove you’re a die-hard Disney fan! 3) We will send you a confirmation message through Facebook once we receive the transfer. This completes your registration!